It was a beautiful day for a race. 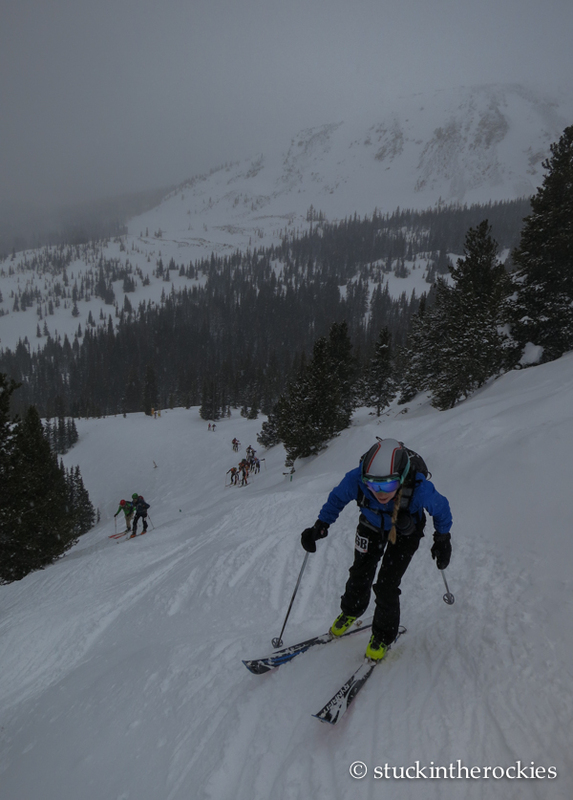 Another year, another bout of punishing weather at the Breck Five Peaks. We haven’t had much luck timing the conditions at this event. 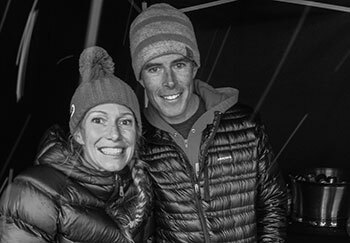 Last year’s race course had to be modified due to cold and wind, which was so punishing we were just happy to reach the finish. 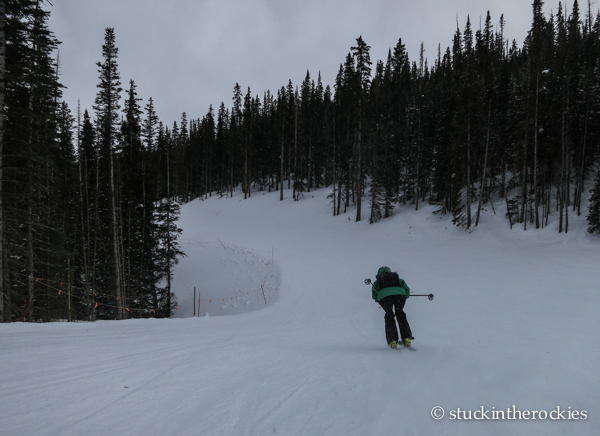 It was kind of a bummer because we were looking forward to the cool tour up and down the five peaks of the massive Breckenridge ski area. The course map with the five peaks of Breckenridge marked. It measured 12 miles and 6660 vertical feet. On the way up the first climb. 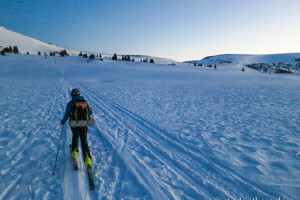 So when the date for this year’s race approached, we thought we’d finally get our nice day up high at Breck. But wouldn’t you know, the forecast steadily deteriorated, and we once again found ourselves challenged by weather. 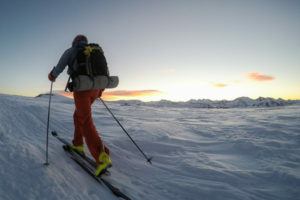 We were skinning uphill in blowing snow at full effort, with our goggles on, wearing multiple jackets and multiple buffs to protect any exposed skin. Christy, on the Peak 10 descent. 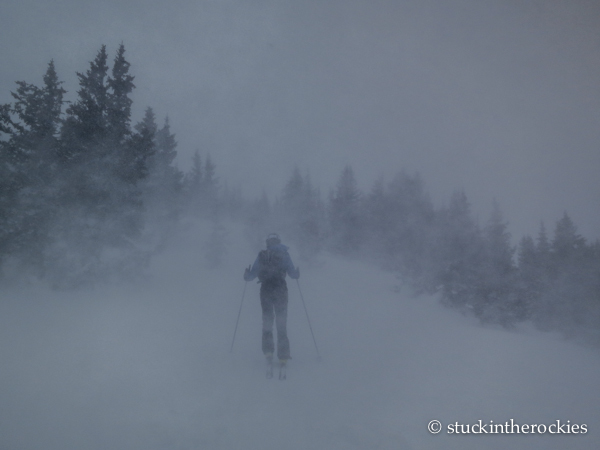 More whiteout on the Peak 8 climb. Weather aside, the race was still really fun. 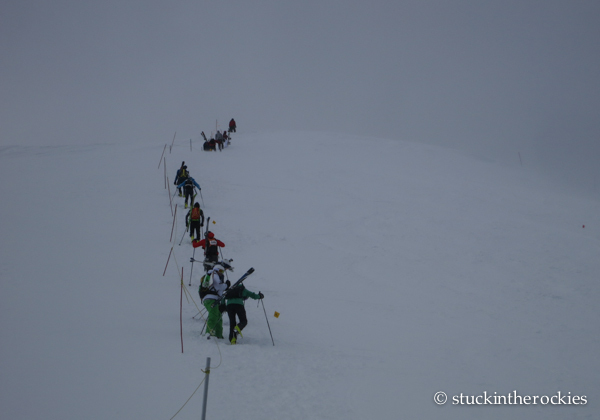 The course is interesting and challenging, the ski descents are fun, and they had 130 teams of two, so we were never out on the course alone. 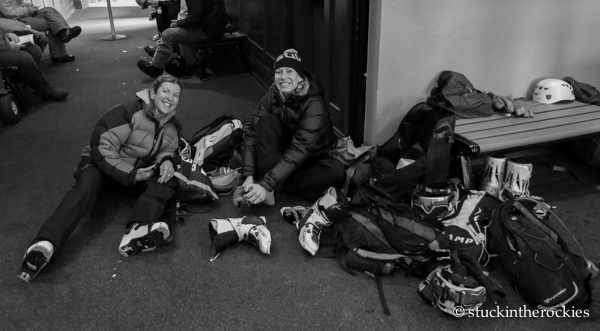 Tomorrow is the Power of Four here in Aspen, and we’re hoping for better race conditions. But if you look at the weather forecast, I’m not sure we’ll be so lucky. More on that next week. 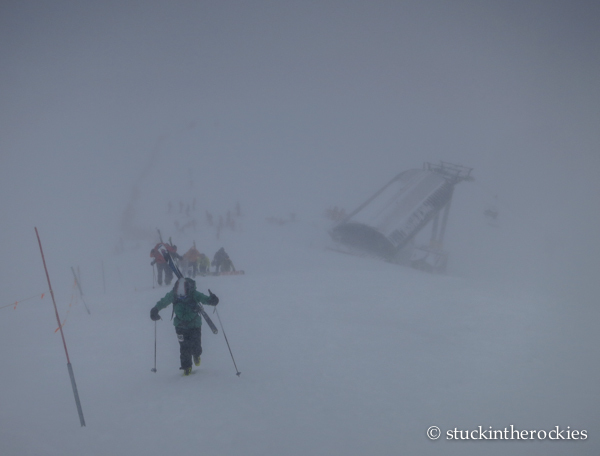 And it only got worse on the booter up to the summit of Peak 8. The top of the Imperial Ridge quad is below. 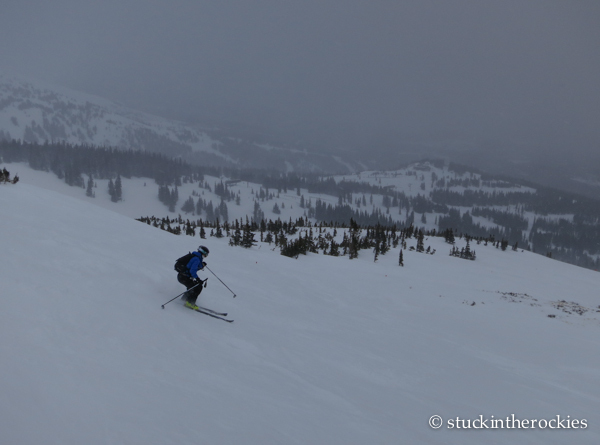 Christy busts past a day skier on the way up the last climb to Peak Six. 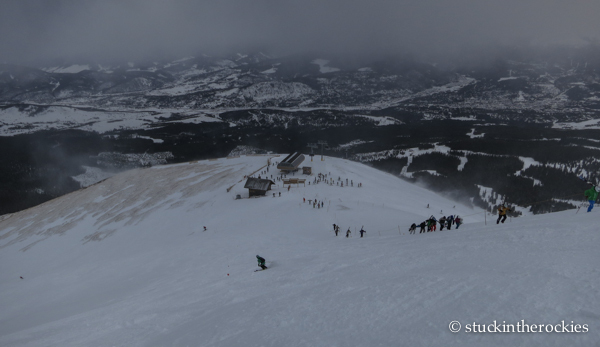 And it was all downhill from there, right past the top of the new Peak Six chair. Christy tucks to the finish to wrap this whole thing up. 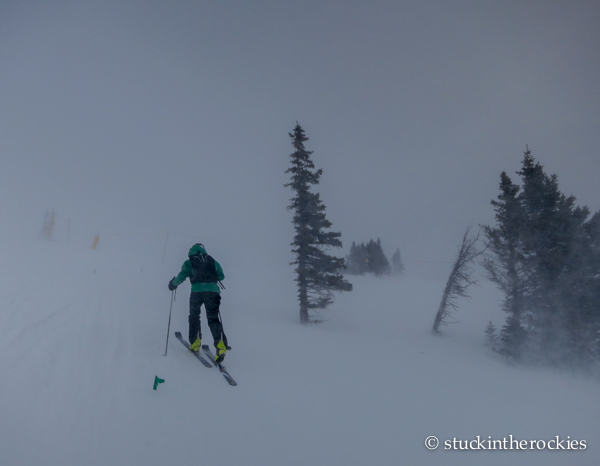 And then a gear explosion ensued at the Peak Seven Lodge. Time to warm up those feet. Looks pretty fierce. Imagine being the lift operator at the Imperial Ridge quad! 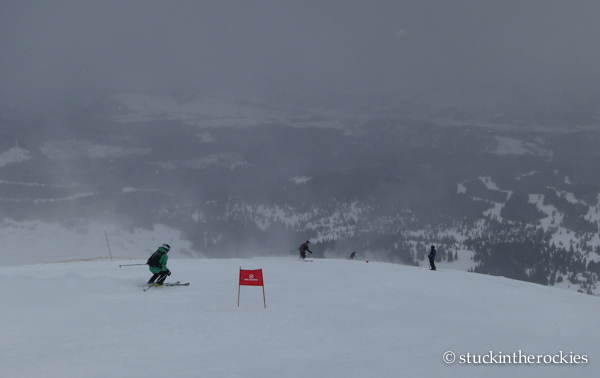 And wouldn’t you know, they clocked 90 mph winds in Aspen during the Power of Four on Saturday!